Russia and China on Friday proposed that a United Nations panel investigating chemical weapons use in Syria be extended to Iraq, a proposal Britain immediately rejected. UNITED STATES: Russia and China on Friday proposed that a United Nations panel investigating chemical weapons use in Syria be extended to Iraq, a proposal Britain immediately rejected. The two countries raised the prospect of broadening the scope of the Joint Investigative Mechanism during a council discussion about the battle of Mosul, where Iraqi forces are fighting Islamic State group jihadists. Security Council members expressed "unanimous concern" about the latest information concerning IS's use of chemical weapons, according to British Ambassador Matthew Rycroft, who chaired the talks. Russia and China then presented a draft resolution that "seeks to expand the work of the Joint Investigative Mechanism to Iraq," Rycroft said, adding that Britain opposes the measure. "The UK pointed out that there were many differences between the situation in Iraq and Syria," he said. 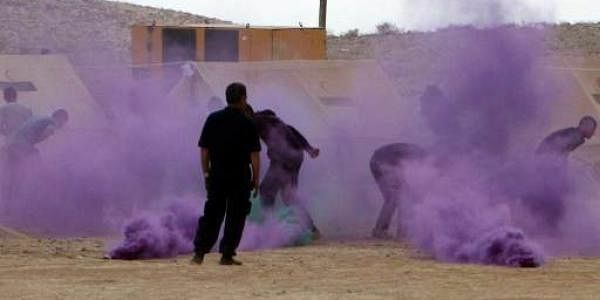 Unlike the Syrian government, the Iraqi government "is fully cooperating with the OPCW," Rycroft added, referring to the intergovernmental Organization for the Prohibition of Chemical Weapons, which works with the UN to implement the Joint Investigative Mechanism. "There are no allegations" the Iraqi government is using chemical weapons, he said. The council took no decision over the draft on Friday, Rycroft said. He did not indicate whether Russia and China would submit their resolution to a vote in the future. The dispute highlighted a fundamental disagreement over Syria between Western countries and Russia. The Joint Investigative Mechanism -- which Moscow helped establish as a Security Council member -- found that the Syrian government, a Russian ally, had used chemical weapons at least three times. But in February, Russia and China vetoed a draft resolution that would have sanctioned the Syrian government for its use of chemical weapons.